How to Use Instagram's New Questions Feature | Infomedia, Inc. The social media platform’s recently added sticker may be your ticket to boosting engagement. Instagram stories have always been intended for creating dialogue between users and followers thanks to the built-in replies tool. But the app has taken it a step further with their most recent addition, the questions sticker. 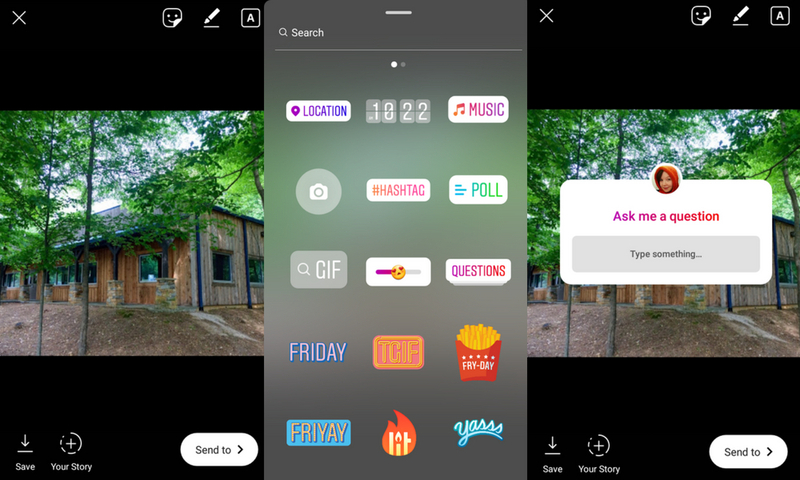 Added to your Instagram story like any other sticker, by clicking the smiley face button at the top of the screen, the questions sticker is a much more interactive option for those looking to engage with followers. Simply click the questions sticker and it will appear on the photo or video you’ve uploaded. The text box will automatically fill with “Ask me a question,” but that can be changed to whatever phrase you prefer. Once you post your Instagram story, followers will be able to tap the “Type something” box and send in questions and comments. You won’t use your inbox to see your followers’ responses. Instead, simply view your story and swipe up. There you’ll be able to read the inquiries that other users have submitted via the questions button. To answer a question, tap it: That will start a new story post where it will display the question (without the user’s info attached) and you can respond. The questions button is a tool that adds a range of possibilities for promoting your business. You can use it as a platform to offer free professional advice, allow followers the opportunity to ask about what happens behind the scenes or just give users a chance to get to know more about your personality. Any way you use it is sure to bring more engagement to your business. If you can’t see the questions sticker on your Instagram stories, your app might be out of date. This feature is available on Instagram version 52, on both iOS and Android. Try updating your app if you can’t see the feature. Have more Instagram questions? Read up on how to add links to stories, see tips to make your feed look more professional and learn about our favorite tool for scheduling posts. If you’re still lost when it comes to social media, Infomedia can help. Our team of professionals can set up a meeting with you to talk digital marketing strategies and find out what would work best for your business.